An inventive horror-inspired science fiction, which somehow lacks depth to become a cult movie. The story follows a family of five, which survived a mysterious invasion of aliens. The deadly predators are blind, but possess an incredibly responsive hearing. 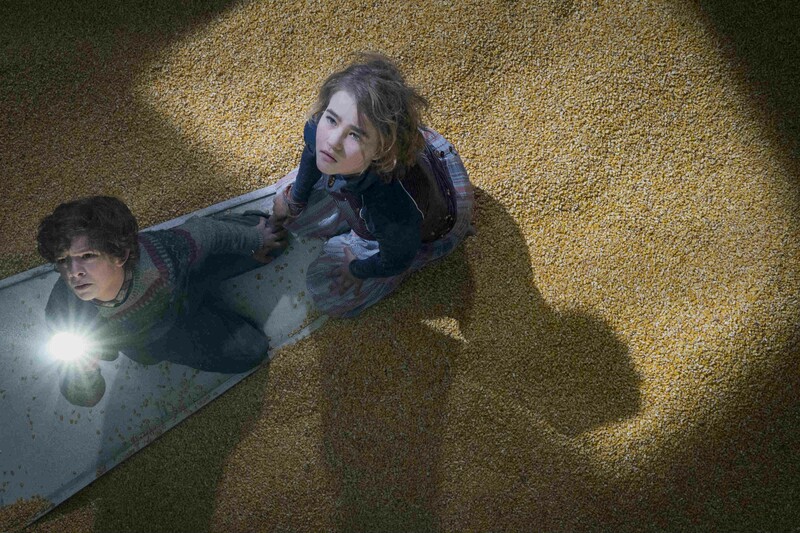 The leftovers lead a life, where every sound might be their bane. However, they can’t hide forever. John Krasinski has been mostly known as Jim from “The Office” – the witty, chill guy, whose blossoming love with Pam was absolutely heart-melting. Frankly, nobody could ever suspect that the very same actor would make a directorial debut in the field of horror mixed with science fiction. 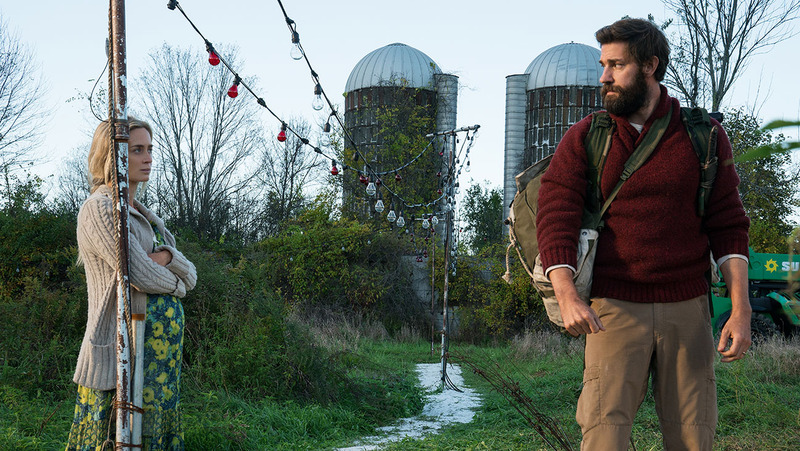 Truth be told, Krasinski has claimed a spectacular victory in the way “A Quiet Place” escapes cliches of both of these genres. Most of the modern horrors are extremely dependent on the loud, cacophonous soundtracks. If the sound design is as powerful as in “Sinister”, everything’s fine. The thing is – it’s bland in the vast majority of movies. Since “A Quiet Place” tells a story without using words, it stands out. Instead of an overwhelming noise, there is a lot of deceptive silence. Deceptive, because in reality, the sound design is one the movie’s greatest assets. The viewer is forced to strain one’s ears and focus deeply, just like the characters in the movie. Moreover, “A Quiet Place” is beautifully shot. The cinematography makes the most out of the picturesque set designs (kudos to that department as well), so it paints a vivid background. A farmland has been already appearing in the horror films, however Krasinski’s DP managed to extract as much creepiness as possible. The aliens dashing through the corn fields or the fabulous idea of light bulbs surrounding the house make “A Quiet Place” look stunning. Even if they remind you of “Signs” or “Children Of The Corn”. The cinematography also points out to the intimacy between the characters. Krasinski strips away the dialogues, which opens room for the body to speak. The camera often freezes to observe the delicate nicking between the wife and the husband or clings onto the eyesight, which hides anger and fear. Milicent Simmonds, who plays the daughter of John Krasinski, and Emily Blunt give wonderful performances here, both powerful and credible. Simmonds is particularly captivating, as her character’s the most vulnerable in the family. If only “A Quiet Place” could be such a tremendous effort in every aspect, I would have fallen in love with Krasinski as a director. However, that’s not the case here. Unfortunately. The insurmountable obstacle for Krasinski – at least in his debut – is to keep the script in check. The story loses the pacing several times, but most importantly – there are brow-rising shortcuts and plotholes. I will avoid major spoilers, but even my medical knowledge allows me to state that no woman can wrap up a baby delivery in few minutes. The “be quiet” rule is also a bummer at times. It forces the story to use sound as the only element, which moves the story forward. Which – stretched over the entire film – does seem far-fetched. 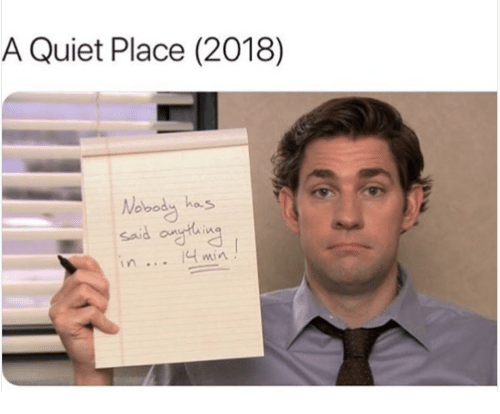 Setting aside the drawbacks of “A Quiet Place”, Krasinski did a solid directorial job. His film clenches the viewer, keeping a steady level of suspense. Not many horror movies actually make that happen, so let’s rejoice.